Ever wanted to ride racehorses? We are looking for work riders as we prepare a stable of around a hundred horses for the 2019 flat season. We can offer accommodation, and if you've ever wanted to ride competitively on the racecourse we will help you in the quest for an amateur riders' licence. Top lady amateurs Joanna Mason and Serena Brotherton are regular work riders and can provide a wealth of advice to riders who want to take the first steps to an amateur licence. 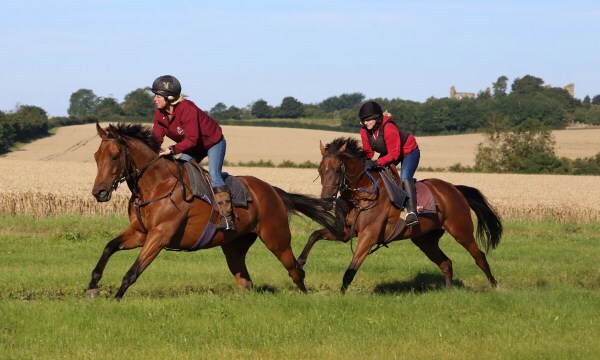 Mick Easterby has trained racehorses at New House Farm, Sheriff Hutton since 1961 and where better to ride racehorses than at one of the country's most historic yards in the stunning Ryedale countryside on the edge of the Howardian Hills.